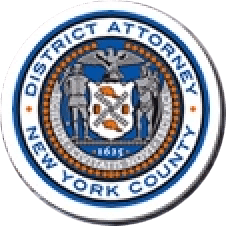 Manhattan District Attorney Cyrus R. Vance, Jr., today announced the sentencing of ANNIE VUONG, 31, to 2-to-6 years in state prison for stealing personal identifying information from more than 650 patients at the dentist’s office where she worked. Three previously convicted co-defendants then used that information to fraudulently purchase more than $700,000 in Apple products. On March 16, 2018, a New York State Supreme Court jury found VUONG guilty of 189 counts in the indictment against her, including Grand Larceny in the Second and Third Degrees, Identity Theft in the First and Second Degrees, and Unlawful Possession of Personal Identification Information in the Second Degree. As proven at trial, VUONG was employed as a receptionist at a dentist’s office where she had access to patient information, including names, dates of birth, addresses, and Social Security numbers. Between May and November 2012, VUONG copied the personal identifying information of 653 dental patients and shared the information with previously convicted co-defendant DEVIN BAZILE via e-mail. BAZILE, a former Apple sales associate, then used the stolen information provided by VUONG to obtain credit lines ranging from $2,000 to $7,000 from Barclaycard and purchase Apple merchandise. In total, he and two other co-defendants, JOSHUA HAUGHTON and AHMEEN EVANS, purchased approximately $700,000 in Apple gift cards—which were later used to purchase tablet and laptop computers—with the fraudulently obtained credit. VUONG was apprehended on February 2, 2015 following a two-and-a-half-year-long investigation by the District Attorney’s Office. Assistant D.A.s Francesca Rios and Alona Katz handled the prosecution of the case under the supervision of Assistant D.A.s Elizabeth Roper, Deputy Chief of the Cybercrime and Identity Theft Bureau, and Brenda Fischer, Chief of the Cybercrime and Identity Theft Bureau, as well as Executive Assistant District Attorney Michael Sachs, Chief of the Investigation Division. Cybercrime Analyst Steven Ford, Senior Cybercrime Analyst Margaret Lovric, Investigator Erin Mulderig, and former Supervising Investigator Robert Muldoon also provided valuable assistance with the case. District Attorney Vance thanked Brian Lamborn of Barclaycard for his assistance with the investigation.